An RSS feed (or news feed) is a means by which you can stay informed about what's going on at Mosaic Community Choir without having to regularly visit the website. 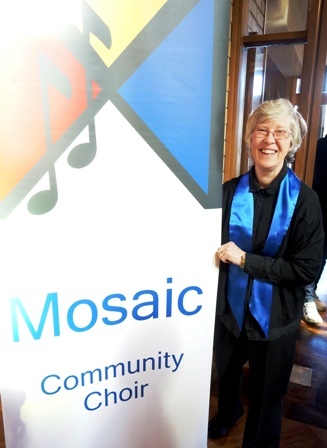 Mosaic is a community choir for everyone who enjoys singing in good company. Mosaic welcomes new members, No previous experience is needed; learning is part of everything we do. Mosaic's repertoire has covered a lot of territory. From gospel to popular standards. From the Hallelujah Chorus to latin swing. We look forward to the next exciting performance! Cnr Chesterville Road and Pine Street, Cheltenham, Vic 3192.